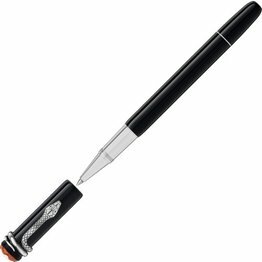 Montblanc Heritage Rouge et Noir Spider Metamorphosis reinterpreting the legendary writing instrument, it features a longer, slimmer silhouette and craftsmanship refined over generations. Montblanc Heritage Collection Rouge & Noir Rollerball Reinterpreting the legendary writing instrument, it features a longer, slimmer silhouette and craftsmanship refined over generations. 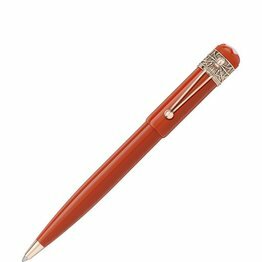 Snake Clip in vintage look with matching fittings. 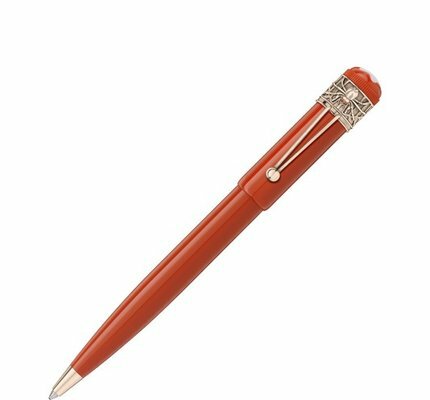 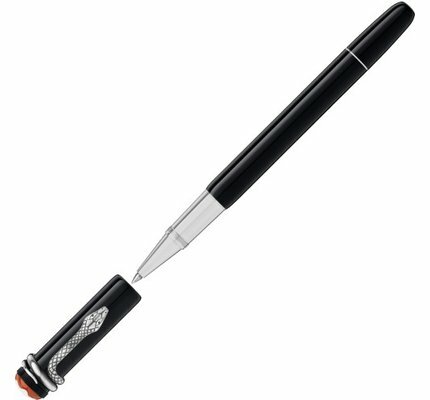 Montblanc Heritage Rouge & Noir fountain pen reinterpreting the legendary writing instrument, it features a longer, slimmer silhouette, modern piston filler technology and craftsmanship refined over generations.